Is it possible for a city comptroller to steal over $53 million from a city of just 16,000 people? Would a bookkeeper take money from a health department while she herself is dying? Could asweet-natured tax commissioner embezzle funds to feed her cocaine habit? In The Little Book of Local Government FraudPrevention you will learn how and why fraudsters steal. 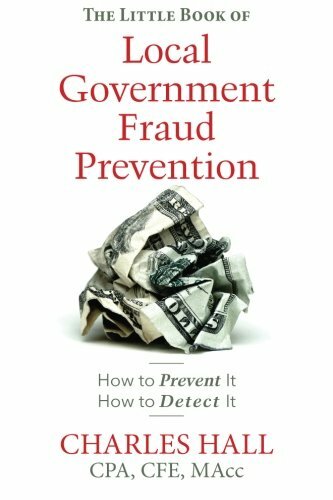 You’ll also discover how to detect and prevent fraud.This book includes easy-to-use fraud prevention checklists, transaction cycle analysis, and fraud prevention tips. Whether you’re an auditor, a fraud prevention specialist, a government accountant, or an elected official, you’ll learn to protect your government’s assets.